Delete Facebook. Really? There are many reasons why you may have already contemplated deleting Facebook. Perhaps you find it ‘addictive’ and are worried about your own sanity; perhaps you think it absorbs too much of your spare time; or perhaps you’re simply not interested in what your friends and family are up to. Justifying your online presence has become a part of everyday life – but as the Cambridge Analytica scandal continues to unfold and Delete Facebook #DeleteFacebook dominates the landscape in which you scroll, will you finally remove yourself from this online community? But before I reveal the reasons why Facebook is surprisingly hard to let go of, let’s take a deeper look into the massive data breach which is rocking the social media boat. Cambridge Analytica Scandal: What’s It All About? If you thought all data you shared online was private – it’s time to get real. In 2018, we pretty much understand that information is readily shared whenever possible in order to assist corporate marketing strategies. Wrong? Pretty much, but it happens regularly. That said; should data gleaned from Facebook profiles be used to try and influence world-changing elections and political decisions? The consensus is no. But, that’s exactly what data analysis firm Cambridge Analytica are accused of doing. According to a whistle blower, the company illicitly harvested data from approximately 87 million Facebook accounts and used it to try and shape political events – including how American citizens voted in the 2016 US election. Worrying stuff – I know! While 70.5 million of those affected by the scandal are believed to be in the UK, the remainder are thought to be in countries such as the UK, Canada, Australia and India. This, of course, caused international outrage which spread across numerous social media platforms and into major news bulletins. While people felt betrayed by Cambridge Analytica they also felt let down by Mark Zuckerberg and crew for not providing adequate protection. 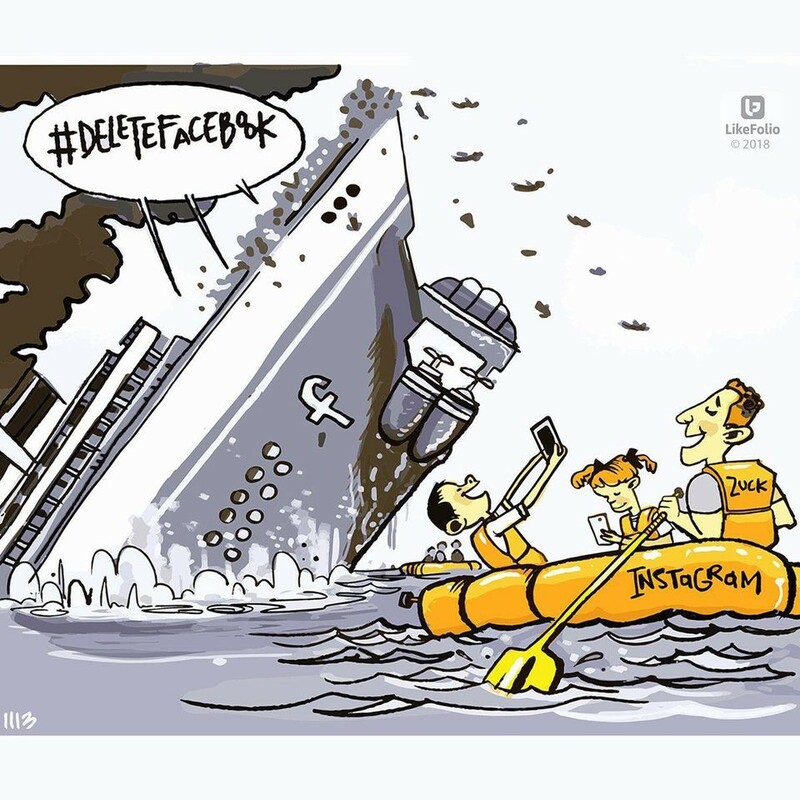 Calls to ‘jump ship’ caused #DeleteFacebook to trend on Twitter – but how has the scandal really impacted the tech giants and is Facebook doomed forever? Following the scandal, Facebook faced its biggest user revolt in history. As you can see from the graph below, quit implications peaked dramatically on 21st March but did not continue to climb. Instead, they started to come back down indicating a ‘flash in the pan’ response to the scandal. What’s more, while Facebook was battered by a social media storm, Instagram – a social media platform owned by Facebook – escaped unharmed as users failed to connect the two brands. This may seem insignificant on the surface, but dig a little deeper and you’ll start to see how a complete Facebook snub is somewhat difficult. Deleting Facebook is one thing – but Instagram? Really? #hard #don’tknow #socialmediadilema #whyislifesohard. Finding It Hard To Let Go? You’re Not Alone! If you’re not on Facebook, will you miss out on important social events or group chats? Will you fade into the background and be completely ignored by your peers and loved ones? This is a very real concern of those active on the social site. Backing up photos and videos takes time and effort. It’s much easier to post them to Facebook and be done. Indeed, the thought of losing everything you’ve ever posted on Facebook over the years is also scary and this certainly stops people deleting their accounts. Not addicted to Facebook? Then what do you do when you wake up in the morning? If you check your social media accounts there’s a high chance that Facebook has become an important part of life that you’d miss if it wasn’t around. If you’ve grown up with Facebook and have added all your friends and family to the network – it’s hard to leave. Facebook demographics certainly shift but if you’re aged between 25 and 44 you’re so loyal to the site that you’re probably not going anywhere. I have been asked for my views on #DeleteFacebook and the Cambridge Analytica scandal and here’s where I am. As a marketer, I know how my data is used by search engines and social media sites. I also know that it’s virtually impossible to live off the grid. Everything we do is tracked, our location, our text messages, our phone calls. Do I think it’s right? No. Do I like it? No. However, the old adage of selling your soul to the devil, albeit dramatic, may be somewhat apt. We want recommendations that are relevant to us, we want to get directions to restaurants in our area, we demand more personalisation from the brands we interact with and this comes at a price. As users, we need to be more aware of the information we are sharing and keep it to a minimum. We need to question political campaigns, strong messaging and pages that are encouraging us to feel a certain way. We can take control of our social networks without leaving them and we should. I could go on, but you get the message. Facebook just isn’t easy to let go. In fact, it’s incredibly hard because we’re all hooked in so many ways. 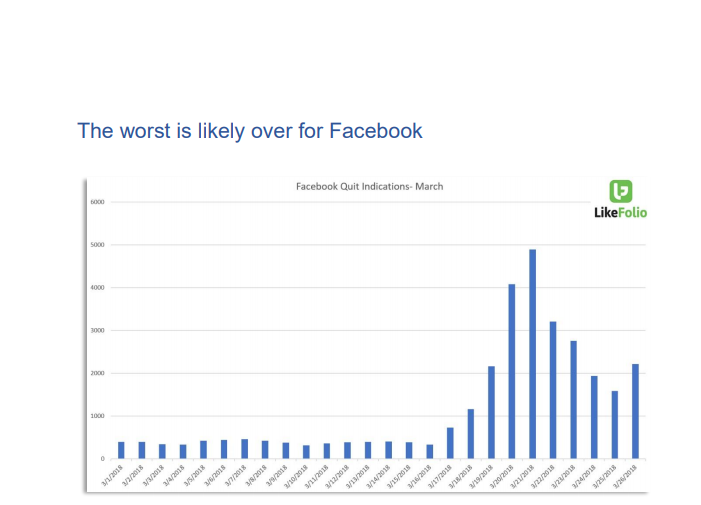 While Facebook still has a lot of work to do to fix their online reputation, the recovery strategies being implemented at least show that they look set to tighten data protection and online security. Delete Facebook. I won’t yet, will you? Are Your Accounts Safe from Social Media Hacking?